Using honey to treat wounds is nothing new. Honey accelerates healing and is a known bacteria buster with anti-inflammatory and antioxidant properties that are well documented. Topical application of honey is also an effective and inexpensive beauty treatment that cleanses, moisturizes and balances the skin. With all those fabulous properties, you wouldn't think it could get any better – but it can. There is one honey that surpasses all the others in spades. In some respects, Manuka honey is a bit of a medical marvel. I've been researching and using Manuka honey for a good part of this year. It has been inspiring to learn about and is fantastic to use. There's a little ground to cover, so I've split the post into 2 parts. When we're done, I'm betting you are going to be as dazzled by this little miracle of nature as I am. 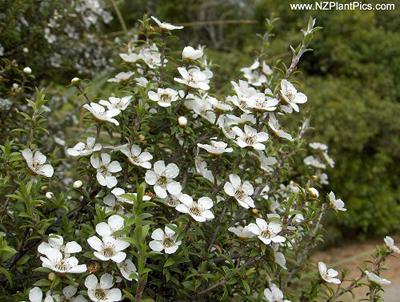 Manuka (INCI: Leptospermum scoparium) is native to New Zealand and Southeast Australia, but is also cultivated in other areas (such as Africa). The coveted manuka honey is however, from New Zealand. If you think this plant looks a lot like the lemon scented tea tree from Australia, you would be very right. It is indeed from the same family: myrtle (INCI: Myrtaceae) and even though this plant is also known as the New Zealand Tea Tree, the leptospermum scoparium is a unique species. Bees that gather nectar from manuka bushes produce a rich, dark and nougaty-flavored honey that has extraordinary antibacterial properties. Some Manuka honey has so much of this 'extra antibacterial oomph' that it is categorized as 'Active'. In lab tests, Active Manuka honey effectively inhibited growth of bacteria such as Staphylococcus Aureas and E.coli. (source) The bacteria busting results have been so impressive that scientists around the world have studied Manuka honey to find out what exactly makes it so effective. They've found it: Active Manuka honey has super high MGO – or – UMF levels. So, What is it? MGO or UMF ? Apparantly, despite agreeing on its antibacterial properties, the scientists testing manuka honey can't quite seem to agree on which of the 2 testing/measuring systems is the most accurate. Methylglyoxal is naturally produced in humans, animals and plants during the conversion of glucose. In and of itself, that's nothing to get excited about, but it is the unusually high MGO level that is almost exclusively responsible for manukas anti-bacterial properties. An MGO level of 400mg per kg puts the honey in the 'active' category. For comparison: that is a whopping 70 times higher than ordinary honey. The MGO measuring/testing system of Manuka honey was developed by Professor Thomas Henle of University TU Dresden, Germany. Yeah, I know, this sounds like something manuka honey distributors made up to sell the product, but stick with me for a minute. UMF is an industry-registered term that carries a guarantee that the honey has been tested and compared with phenol (a disinfectant) to receive verification for its antibacterial activity. 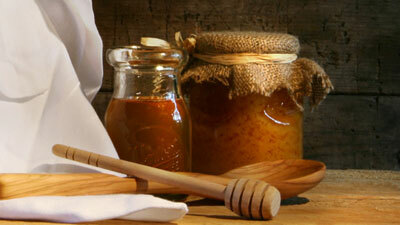 With the UMF system, a rating of 10 or over puts the honey into the 'active' category. From the info I have been able to find, no one person gets credit for creating this system, but Dr. Peter Molan, of Waikato University in New Zealand, was instrumental in the development of it. This 2009 article in The National Business Review outlines the debated differences between the 2 testing systems. If you can't be bothered reading it, I'll give you their conclusion: MGO came out a bit ahead as being more effective and accurate (but this article is from 2009, so there could be new info available). If you have updated info, please post a comment. Measurement dispute aside, science does agree that manuka honey has some serious antibacterial properties and is even efficient enough to where it 'may be a safe alternative to traditional wound dressings'. So, who knows, you may see it in the doctors medical bag one of these days. Next time, I'll get into what I've learned from working with manuka (both topically and internally). PS: Had you ever heard of Manuka honey before reading this post? I'm almost embarrased to admit I just learned about Manuka this year. PHOTO CREDIT: The gorgeous photo of the manuka bush is used with kind permission from Paul Ashford (who has a slew of fab pics of New Zealand flora) at NZplantpics.com. Thank you Paul! Jeg bliver helt lækkersulten af at læse denne post. Og i øvrigt interessant læsning for et honningfjæs som mig. Hvor kan man købe det? Can't wait to learn more about this wonderful honey. I have been using raw honey on my face for the past 4 months and I LOVE it. I had seen manuka honey right beside it on the shelf in the health food store but had no idea what it was. Now I think I'll go buy some in anticipation of your next post. Thanks so much for the wonderful blog and the great information. @Rikke - Jeg bestilte det hos min lokale helsebutik. Jeg har endnu ikke set det på hylden nogen steder. Forbered på at skulle op med pungen - ca kr. 150,- for 250gr..
@Califa's Lap - Thanks for your kind words! I am soo envious you have actually seen the honey on the shelf of a store. I had to special order mine from my local health food store, but it was worth the wait! Hey there Alicyn! It's coming up tomorrow!